I just started a new job recently, so my time and energy has been pretty much devoted to that. 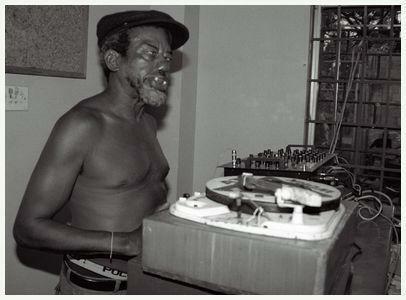 Even so, I still feel bad that I haven't done a proper write-up on legendary deejay (and Coxsone Dodd and Clancy Eccles collaborator) King Stitt (AKA The Ugly One; born Winston Sparkes), who recently passed away at 72 after a long fight with prostate cancer and diabetes. Fortunately, Trojan Records has posted a wonderful remembrance of King Stitt by Dana Smart that is definitely worth a moment or two to read. Our condolences go out to the family and friends of Winston Sparkes.